Donegal has been unified into one constituency for the first time since 1981. 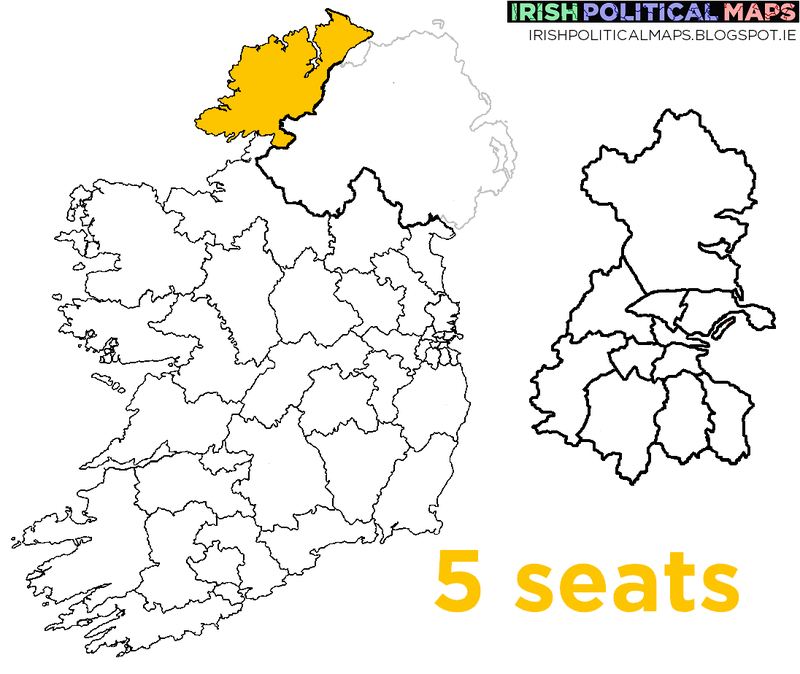 Dinny McGinley's retirement means that there are five TDs from the old Donegal North East and South West constituencies vying for five seats in this new constituency. Sinn Féin have identified Donegal as a potential source of huge support, with a third candidate joining their two outgoing TDs - the highest number of candidates the party have run in any one constituency. Former Fianna Fáil TD Pat the Cope Gallagher is hoping to reclaim a seat, while Fine Gael have not nominated anyone else to run alongside TD Joe McHugh. Labour have not run a candidate in Donegal, though they may do so after the new year. Candidates are listed in alphabetical order. Candidates in italics are sitting TDs. Click on a party or group's name to see their other candidates.